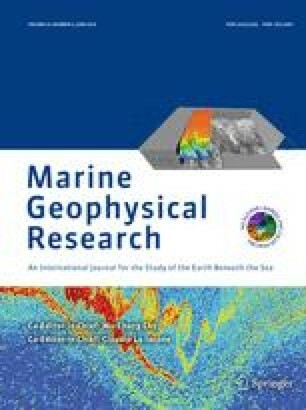 Four new bathymetric maps of the Tonga Trench and forearc between 14 °S and 27 °S display the important morphologic and structural features of this dynamic convergent margin. The maps document a number of important geologic features of the margin. Major normal faults and fault lineaments on the Tonga platform can be traced along and across the upper trench slope. Numerous submarine canyons incised in the landward slope of the trench mark the pathways of sediment transport from the platform to mid- and lower-slope basins. Discontinuities in the trench axis and changes in the morphology of the landward slope can be clearly documented and may be associated with the passage and subduction of the Louisville Ridge and other structures on the subducting Pacific Plate. Changes in the morphology of the forearc as convergence changes from normal in the south to highly-oblique in the north are clearly documented. The bathymetric compilations, gridded at 500- and 200-m resolutions and extending along ∼500 km of the landward trench slope and axis, provide complete coverage of the outer forearc from the latitude of the Louisville Ridge-Tonga Trench collision to the northern terminus of the Tonga Ridge. These maps should serve as a valuable reference for other sea-going programs in the region, particularly the Ocean Drilling Program (ODP) and the National Science Foundation MARGINS initiative.